A small-time rancher agrees to hold a captured outlaw who's awaiting a train to go to court in Yuma. A battle of wills ensues as the outlaw tries to psych out the rancher. An honest, hard-working farmer agrees to assist in escorting an outlaw to a distant town in exchange for money to pay off his debt and start a new life. Hidden motives are revealed as the two partake in an ever-evolving game of cat-and-mouse. There is all this criticism over $200 being offered to kill Wade's captors. Do those claiming this is "stupid" not realize there is something called inflation; that the penny candy on "Little House" now cost a buck? As for Wade's stupidity for getting caught, ever consider that part of him wanted to get caught? Why else would he be waiting around knowing the lawmen were back? "Stupid script!" Or possibly Wade was done. But as he said, you have to be ruthless to run his gang. So if he were to change, he'd need to be freed of his posse. Getting on the train to Yuma might just be his ticket to a new life when he busts out of the caboose or the prison (which he claims to have done twice already). Killing his own men seemed over the top, but when you ponder that he probably didn't want to be shackled to these guys anymore, it becomes easier to swallow. I did find Russell Crowe a bit too glib, but Christian Bale was spot on. The look and sound of the movie were fantastic. Not a truly great movie, but definitely a good one, with some exceptional elements. I saw "The Assassination of Jesse James" yesterday and "3:10" today. Thought I would burn out on the genre doing the back to back. 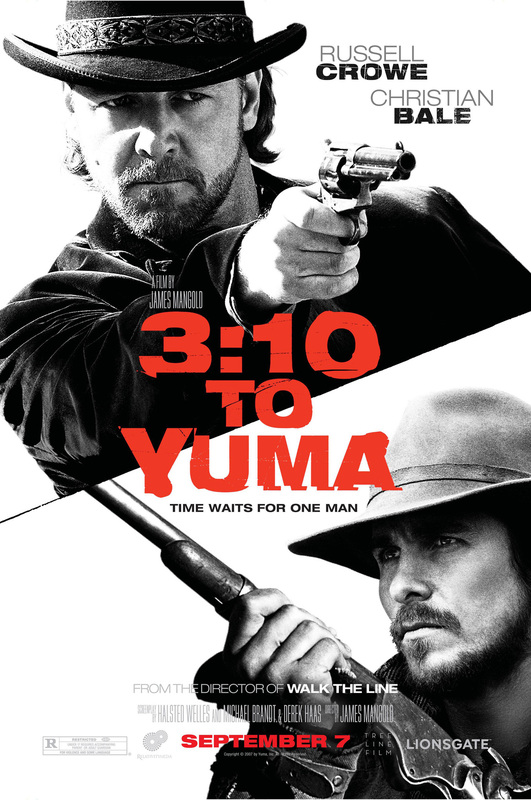 Because they're two different types of westerns, I was not bored but absolutely riveted.